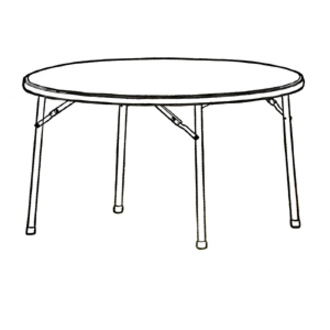 Table Top Diameter: 48" 71" 60"
Round banquet table is designed for light-duty use indoors or outdoors. The 2" thick, square-edge top is made of blow-molded, high-density polyethylene for a sturdy surface. 1" tubular steel legs are powder-coated for durability. 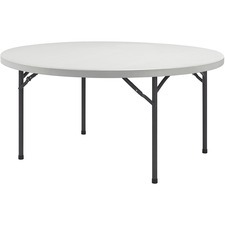 71" diameter table supports up to 500 lb. evenly distributed and comfortably seats six to seven.